Be careful who performs your air conditioning repairs. At Houston Admiral, we treat your home with respect. We use drop cloths and booties inside your home so after every air conditioning repair, your home looks exactly the same as when we arrived. When you need air conditioning service, we provide it. 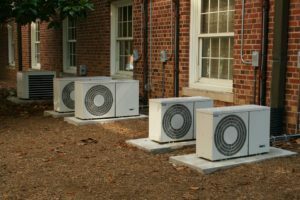 At Houston Admiral we do our best fix and repair your air conditioner, rather than trying to sell you a new air conditioner, like many air conditioning contractors. Houston Admiral will help you select the best air conditioner for your budget. Bigger is not always better. At Houston Admiral we will analyze your home to ensure that the right size air conditioner is selected for optimum cooling and comfort. Houston Admiral has wide range of experience with many different brands of air conditioners.